Equipment Replacement | Bayside Mechanical Inc.
We can do a full cost analysis breakdown of your current system and identify all areas where you can improve. Let our experts identify how we can increase your energy efficiency and overall HVAC system value! 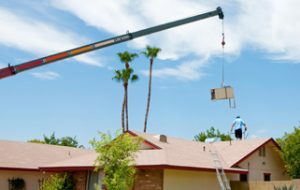 We specialize in replacing older systems that are energy inefficient and will always recommend the best solution moving forward. This is essential when you are debating between repairing old equipment or replacing with a new system. We can offer our over 50 years of expertise to help you with your decision making process.